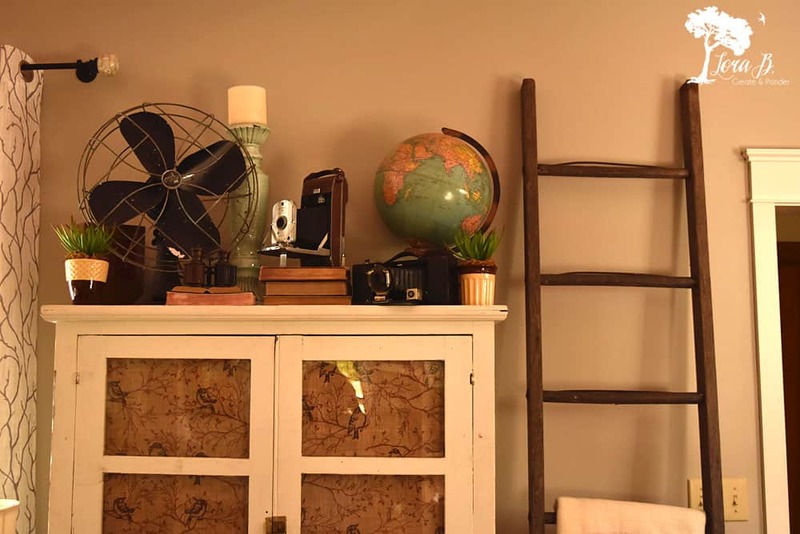 Since my living and dining rooms are sporting a fresh new coat of grey paint, it’s time to hang some great vintage finds on the walls, to be enjoyed as they are, or gussied up with the seasons. As each piece of architecture came down, I determined to put them back up in better condition. I sanded and polyed this leaded glass window frame and cleaned the glass with straight ammonia, so it’s all clean and shiny. I filled the holes in the walls before I painted, because I knew I wanted to hang everything higher. 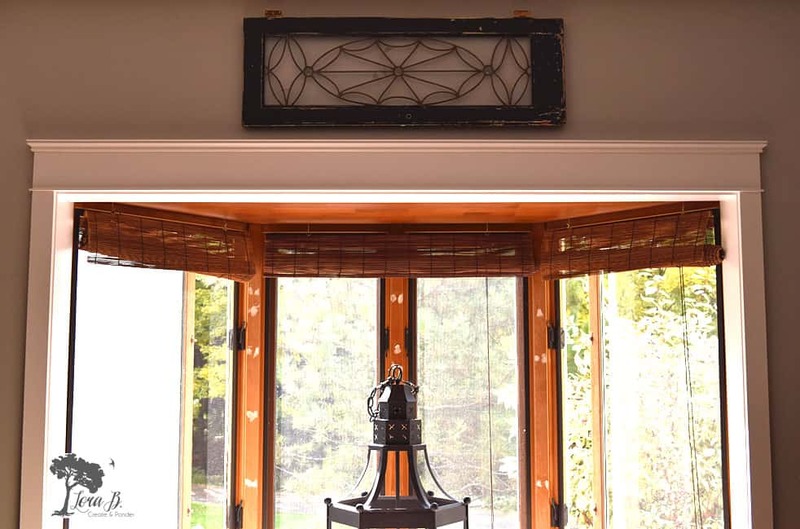 Hanging wall art higher elevates the space and accentuates taller ceilings. 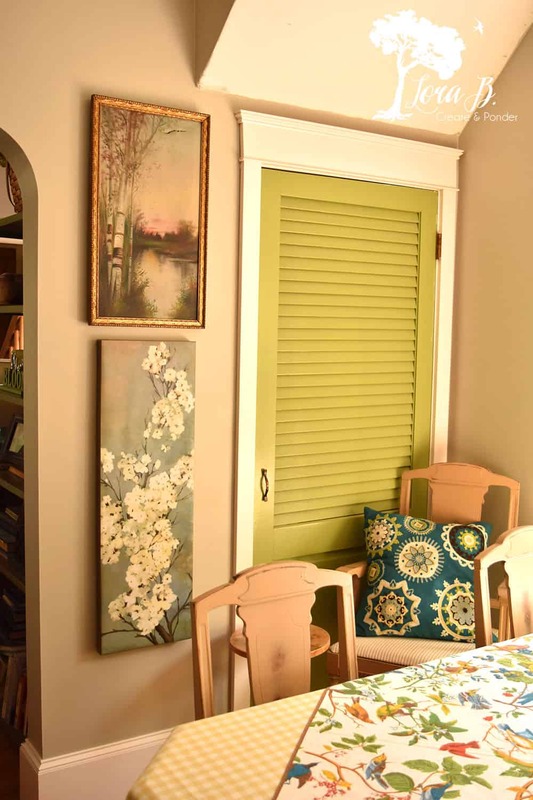 My next painting project waiting for me is the bay window trim (above). It’s still sporting it’s orangy, brown 60’s woodwork. House projects are never-ending, aren’t they? All the wall treatments are in their bare-naked state now. An architectural, blank canvas allows the addition of seasonal elements to be added. 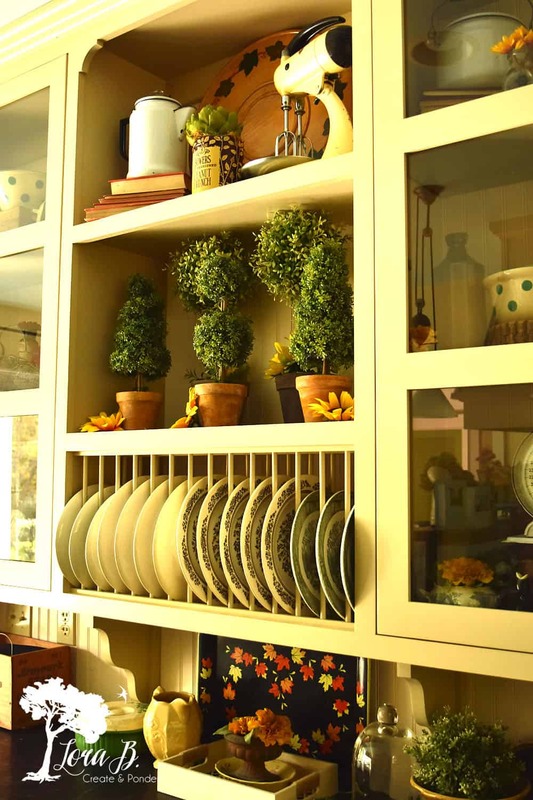 Having some type of shelf beneath creates unlimited decorating possibilities. The margin between the shelf and the windowframe can be filled with all sorts of prettiness, while leaving the buffet top clean for serving. I really liked the idea of using the whole vertical space to the left of this closet door, which sports it’s original 70’s olive paint. The combination of the antique painting in the gold frame juxtaposed with the modern canvas below, transcends decorating eras. Just hanging one or the other and having it at eye level would be more expected. 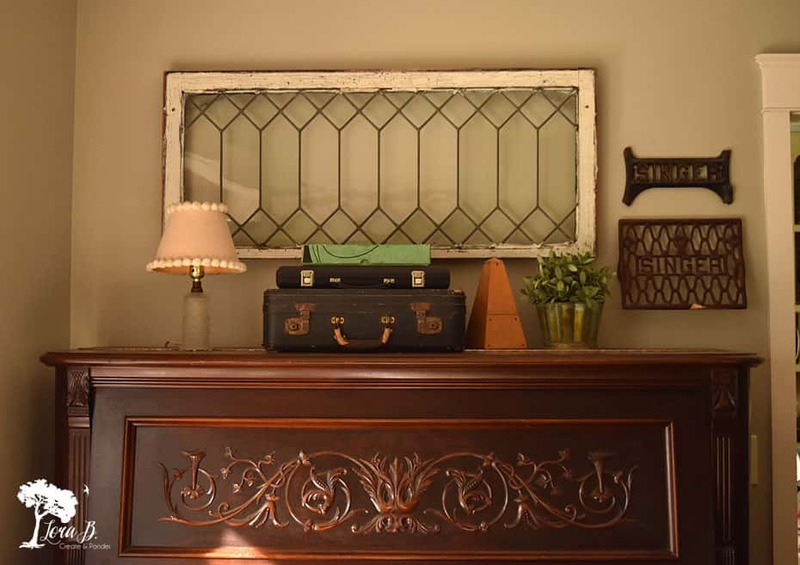 Combining different styles together in an unusual way creates a fresh display. Sometimes changing your art to a different wall can be challenging. 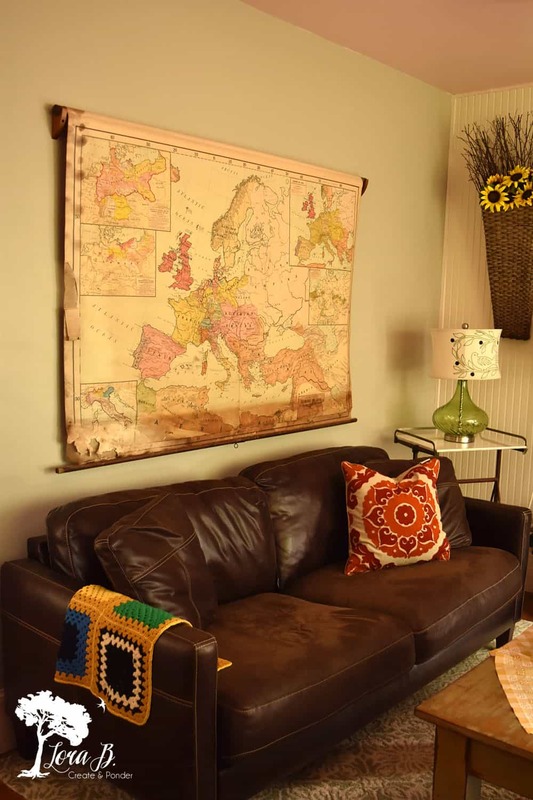 I’ve always liked walking through my home to see my big, beautiful map ahead, with my globes and cameras in front. But once down, I realized I liked seeing the grey wall here; seeing more expanse of wall made the room feel larger. Sometimes taking items down while painting will bring a new opportunity of placement. Re-think, re-evaluate…it’s a good thing. Next up is to paint up the stairs. 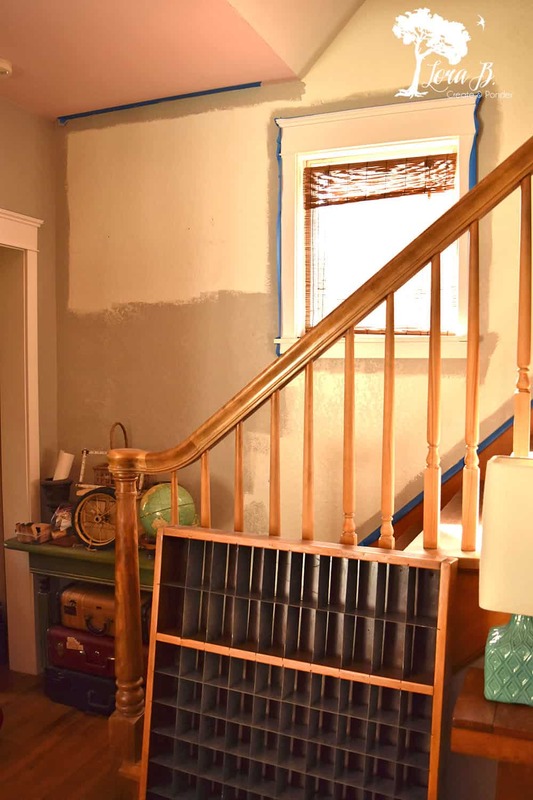 I’ve been looking at the glossy, knockdown walls since we moved here, and my brain’s working hard on transforming this boring stairway into a feature spot. I sanded the numbers off this awesome cubby that was on the wall, and brushed it with a coat of poly in each square. Yep…time consuming, but what a difference. Can’t wait to get it back up on that freshly painted wall and fill it with cool junk again. It’s another great example of using vintage wall decor as is, or with added seasonal fun. I’m excited to add some fall texture to these great vintage wall pieces, that are all sporting their new and improved selves. 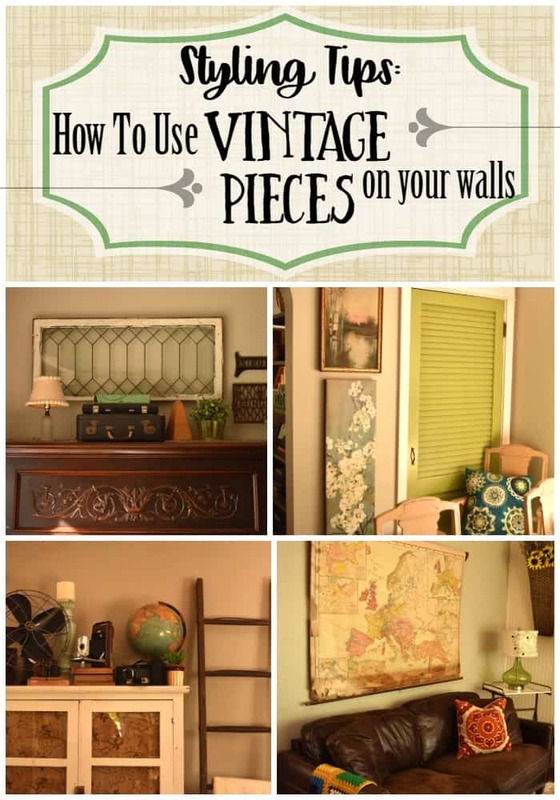 Do you have any great vintage pieces you can use as wall art? 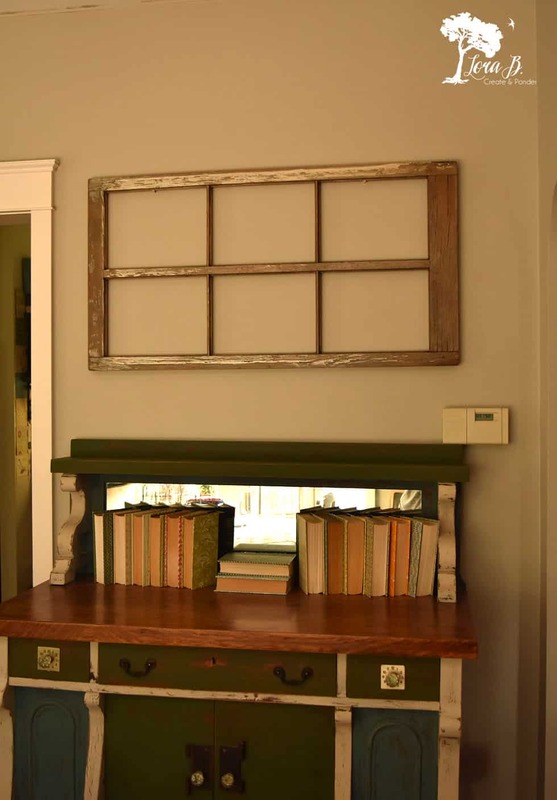 Or do you need to give your walls a fresh coat of paint to set off all your great finds? Hope this post gave you some new ideas! Thanks, Diana! Guess my home shows that I’ve been in the business for many years & have kept some of my favorites! Will definitely link up with your party again!